Colorado Concealed Carry Without A Permit has limitations. There are 5 exceptions to the Colorado Concealed Carry Law let’s look at the situations where they apply.  Colorado Concealed Carry Without A Permit can be done in 5 instances they are Home, Auto, Business, Land, and Hunting. Let’s look at some of the provisions of these exceptions. 1. What is a concealed weapon? A weapon is concealed on your person if it is placed out of sight so as not to be discernible or apparent by ordinary observation. If the weapon is only partially concealed – for instance, by a holster — it is not concealed. As long as a casual observer would recognize it as a weapon, you have not violated the law against carrying a concealed weapon. (a) A person in his or her own dwelling. We all should know that we can carry a concealed handgun at home without a permit. A person in a private automobile or other private means of conveyance who carries a weapon for lawful protection of such person’s or another’s person or property while traveling. Colorado allows us to have a handgun loaded in our vehicle and it can be hidden anywhere even without a permit. A person in his or her own dwelling or place of business. In Colorado, an employer can determine who (if anyone) among its employees may carry a firearm in the workplace. C.R.S. § 18-12-214 restricts where a person holding a concealed carry permit may take her gun. The statute reserves the right of a private property owner, private tenant, private employer, or private business entity to exclude weapons from their premises. This law includes the right to prohibit the possession of a firearm in a locked vehicle in the company’s parking lot. A person in his or her own dwelling or place of business or on property owned or under his or her control at the time of the act of carrying. Yes. C.R.S. 18-12-204(3)(a)(ii) states that any person lawfully able to possess a handgun may carry that handgun while engaged in the act of hunting without obtaining a permit for the handgun. When you are actively engaged in the act of hunting and desire to carry a handgun, Colorado Concealed Carry statutes allow you to do so. Carry, in the context of the statute, applies to the carrying of the handgun and explicitly states that the handgun shall not be considered concealed. However, the sidearm may not be used to take any animals unless it meets the requirements specified for that hunting season. So as you can see there are many circumstances where you can carry a concealed firearm without a permit in Colorado. Beware that many law enforcement officers do not know these laws and you can find yourself being charged even though you may be right. In situations where a dispute with law enforcement has occurred, be polite and professional. If you get charged with a violation of the law you can handle it after the fact. If you are a member of one of the organizations like U.S. Law Shield or the USCCA you can get one of their attorneys to handle it for you. If you would like more information on these coverages you can contact me and I will provide it to you. The best solution is to get a Colorado Concealed Carry Permit by taking one of my classes. 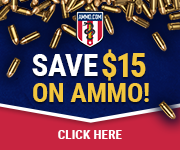 Sign up today and get the training you need on a schedule that works for you. 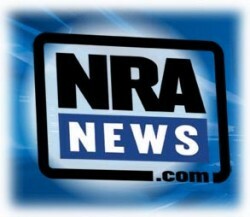 The materials available in this article and at http://havegunwilltraincolorado.com are for informational and educational purposes only and not for the purpose of providing legal advice. You should contact an attorney who is well versed in gun law to obtain advice with respect to any particular issue or problem. Use of and access to this Website or any of the links contained within the site do not create any legal advice. The material discussed is only educational information.